Govind Namdeo is an Indian film actor. He is from Sagar MP, and he was from a poor family. Govind made his debut as a corrupt cop in David Dhawan's Shola Aur Shabnam (1992). He has acted in numerous A grade movies. He is an alumnus of National School of Drama. 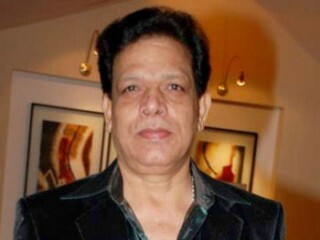 The actor has played number of supporting character and villainous roles,there is an exclusivity element for this talented actor.Some of his most notable work have been in films like Bandit Queen, Virasat, Satya, Kachche Dhaage, Mast, Thakshak, Phir Bhi Dil Hai Hindustani, Pukar, Raju Chacha, Sarfarosh, Satta, Qayamat and Main Madhuri Dixit Banna Chahti Hoon. He currently lives in Mumbai with his wife Sudha Namdeo and three daughters Megha, Pallavi and Pragati. View the full website biography of Govind Namdeo.